The annual Jazz & Tap Dance Festival is a collaboration of tap, jazz and hip-hop companies fusing their talents together in one show. This dance event celebrates 27 years and showcases seven regional dance companies on Saturday, March 9 at 8:00 p.m. and Sunday, March 10th at 4:00 p.m. at the Northern Virginia Community College Annandale Campus theatre. “This show jazzes the house, puts swing in your bones, a tap to your fingers and a beat to your walk,” says Marilyn York, Festival Director. Joining the Dancin’ Unlimited Jazz Dance Company, directed by York, are Encore Theatrical Arts Project, Impulse (Metropolitan Fine Arts Center’s resident company), Center Stage Dance Company, Capitol Movement Inc., and MYTE (the Metropolitan Youth Tap Ensemble). Harking from New York City, the Undertoe Dance Project joins the program for the first time. 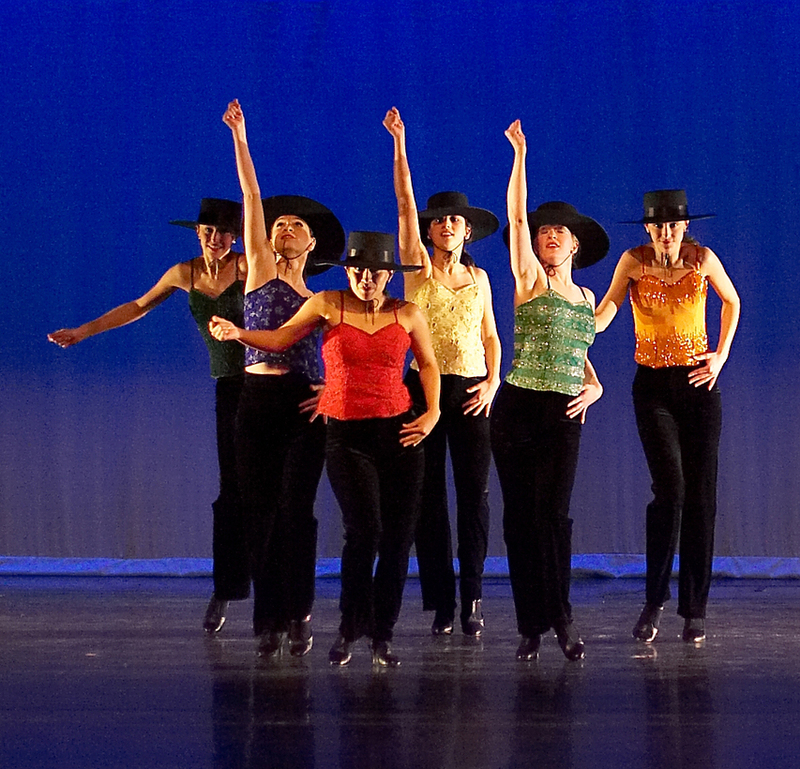 Dancin’ Unlimited, a premier jazz dance company in the DC Metro Area, will present four numbers. “Burlesque” is a sultry yet classy medley with music from the motion picture Burlesque. The stage and audience comes alive as the dancers bring this fantasy land of glitter, fringe, and a little leg to the stage. Come fly with Dancin’ Unlimited in “Sinatra,” where the world of Frankie is still alive and it’s pure heaven. With choreography from Mark Morris company member Spencer Ramirez, “Sinatra” is old-fashioned, classic, and heart-warming. Bye bye, “Blackbird!” With a few snaps and a pop of the hip, Dancin’ Unlimited is back to Fosse’s time accompanied by the sweet voice of the beautiful Katie Pritz. “White Out,” a contemporary jazz piece, encourages the audience to move past negativity and hardships that can hinder our ability to transcend life problems. Each company brings something unique to the table. Undertoe, directed by Dana Fisch, merges jazz and tap in “Home,” three duets performed to a soft ballad sung by Dave Grohl. Each duet represents a different relationship and the growing pains, push, and pull of each. Encore, directed by Raynor van der Merwe, delivers the Broadway “wow” factor. Center Stage, directed by Sherri Shortell, brings the crowd to life with show-stopping hoofing. Impulse, directed by Sara Hart, blends jazz syncopation with lyrical dance. Capitol Movement, founded by Stephanie Jackson and Amber Yancey, takes hip-hop up a notch with an interesting blend of tut, tear, and flash. Jazz dance is a true American art form, with 20th century styles evolving and merging toward today’s 21st century music. Jazz dance has changed as jazz music itself has advanced and as popular culture has shifted. York frames the Festival as a sequence of jazz, tap, hip-hop, and musical theatre dance numbers, in the vaudevillian or revue style. “This is art that honors original street dance techniques with contemporary energy and inspiration,” says York. The power of live jazz, tap and hip-hop dance is in its vitality and rhythmic creativity. It’s always fresh, free, and fundamental to our American spirit. Tickets are $25 for adults and $20 for students. For tickets and information, visit www.dance-festival.org, or contact any of the participating dance organizations. The NVCC Annandale Campus theatre is located at 8333 Little River Turnpike, Annandale, VA; and is convenient to Rt 495 Beltway exit 52-A. The Festival is supported and funded in part by the Arts Council of Fairfax County.